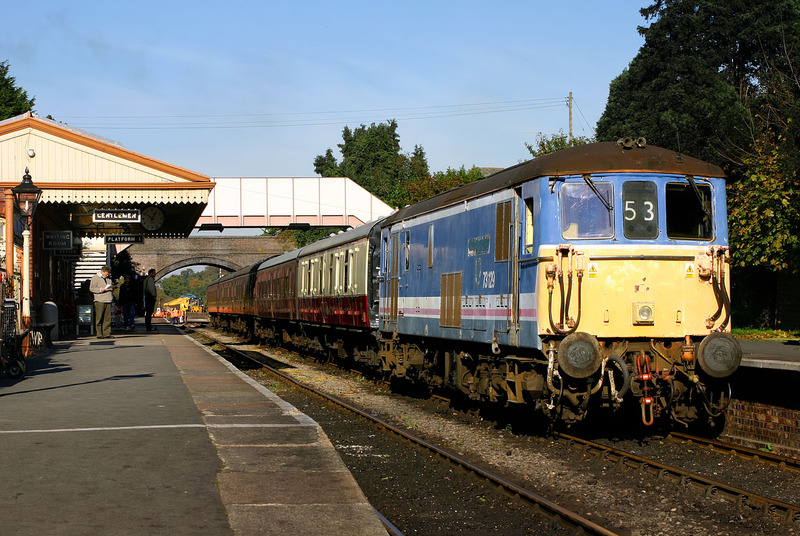 On 4 November 2006, 73129 waits to depart from Toddington station, on the Gloucestershire Warwickshire Railway with the 13:02 service to Winchcombe, during the line's Diesel Gala. The newly opened footbridge contrasts slightly with the station building and old brick built road bridge. Note that despite the gala being in progress, maintenance work still goes on, with volunteers at work just under the bridge.